For summers easy comfortable and breathable fabrics are something I love to wear. Hence, linen and cotton is always on the top of my summer wardrobe. 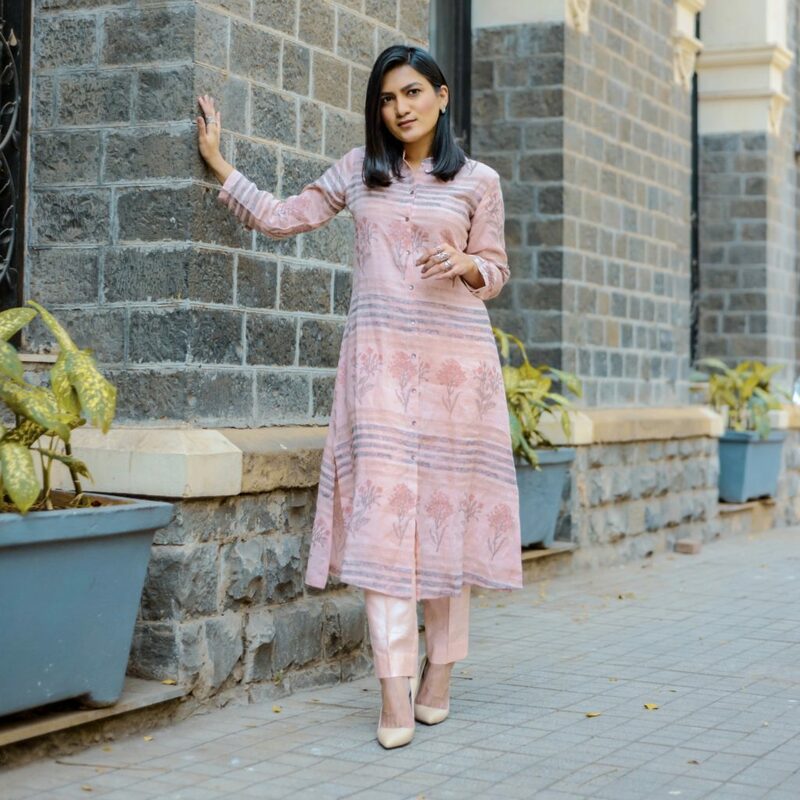 Keeping my summer style in mind I picked this Pastel Peach Linen Kurta set from the Zuba Collection. 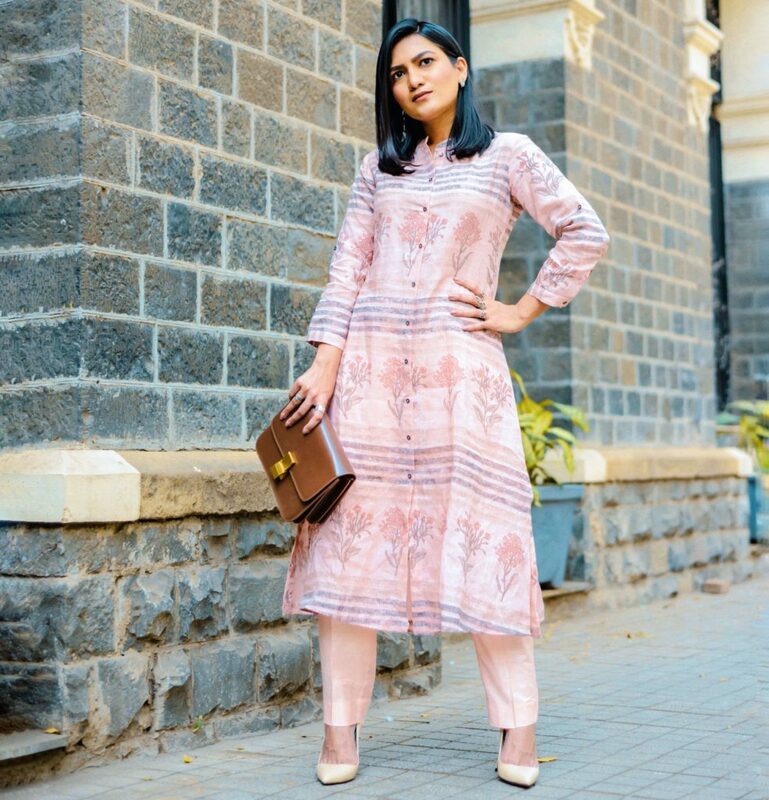 Given how comfy linen fabric is, this set is a must have in your summer wardrobe. Pastels are another trendy style for summers, which makes this outfit a perfect mix of classic and on-trend elements. As I have styled this look for a formal occasion, I paired it with neutral coloured pumps and a box clutch with minimal silver accessories. An all white look is another summer favourite for me. There is something about this season that increases my affinity towards this pristine color. An all white look is also a wardrobe staple. 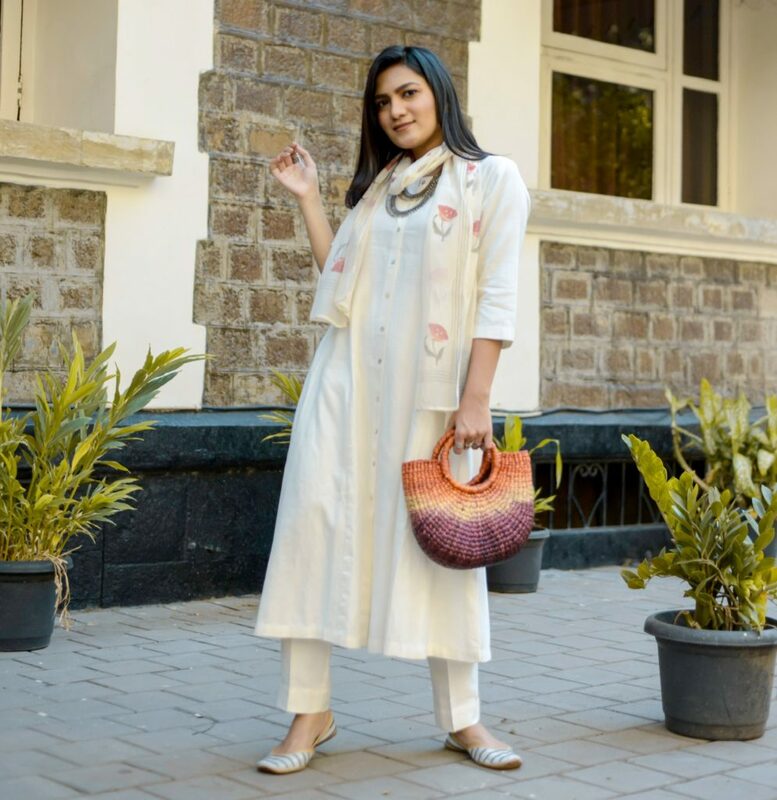 Here I have paired a classic Kurta with ethnic white pants and a floral stole draped around the neck, all pieces from the Zuba collection on Tata Cliq. There are so many ways to style a white kurta and adding a dash of silver accessories is a perfect match. Completing the look with a straw bag and adding a gorgeous pair of juttis, a versatile look like this can be easily worn from a brunch to any formal event. If there is any print synonymous with summers, it’s floral print. 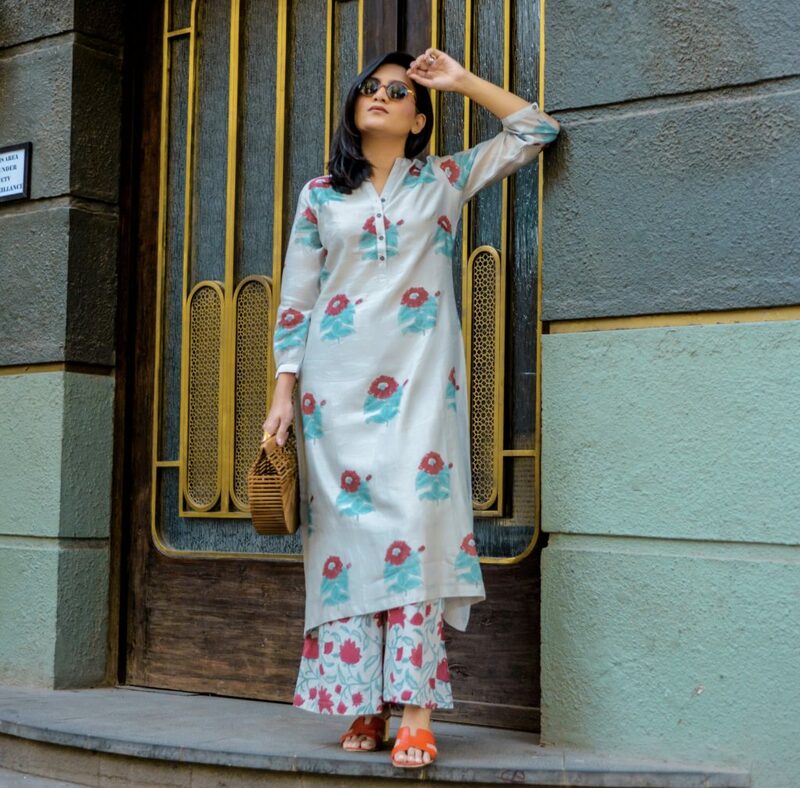 To stand out in a sea of floral prints, I opted for this bold floral print Kurta and for some print clashing paired it with a floral print flared palazzo pants both from the Zuba collection, which you can find on Tata Cliq. This easygoing casual look is perfect for summers especially if you are going to spend the day outdoors. For this casual look, keeping the accessories minimal, I added a pair of comfy heels and completed the look with a chic summer bag. You can shop all these pieces from ZUBA by Westside Stores , only TataCLiQ .